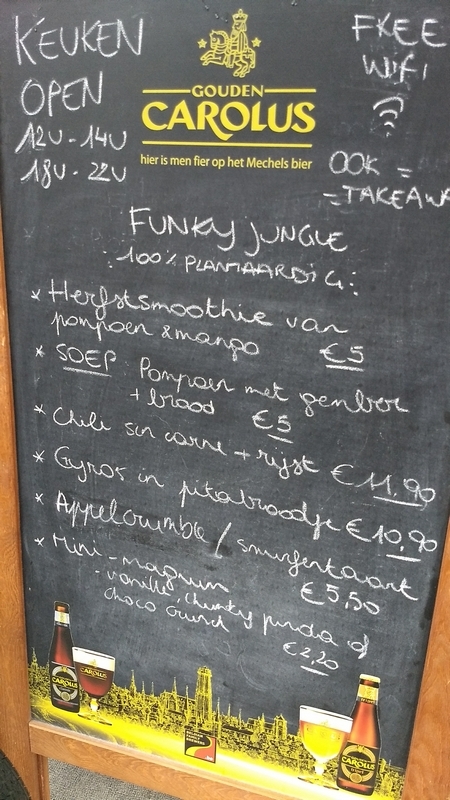 Restaurant review#148 – Funky Jungle is a vegan restaurant in the center of Mechelen. 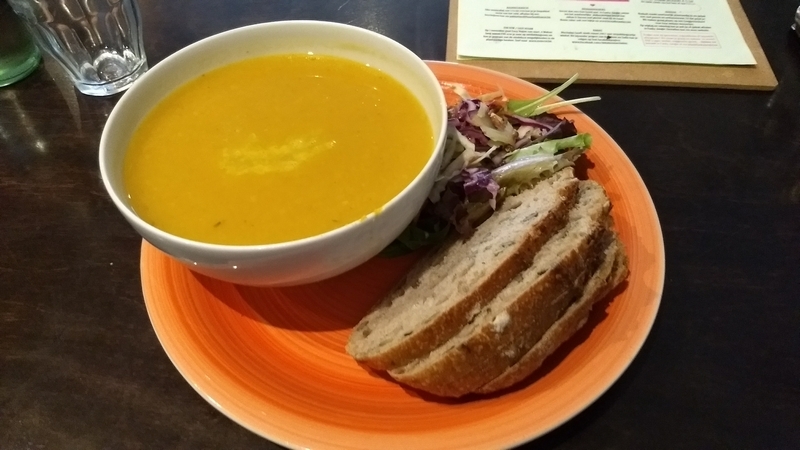 It is located right at the foot of the St Rumbold’s cathedral.I had visited Funky Jungle in the Summer of 2016 (review here). Jim was in Mechelen a couple of weeks ago for a conference, and went here for lunch. 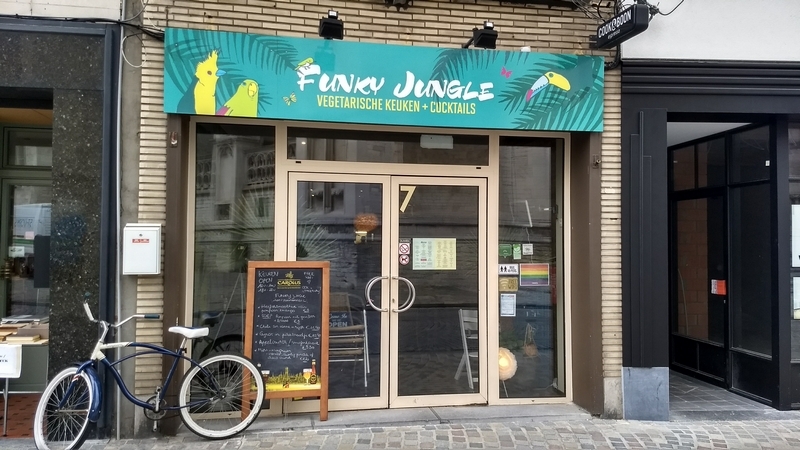 Funky Jungle started as a vegetarian restaurant, but has gone completey vegan. 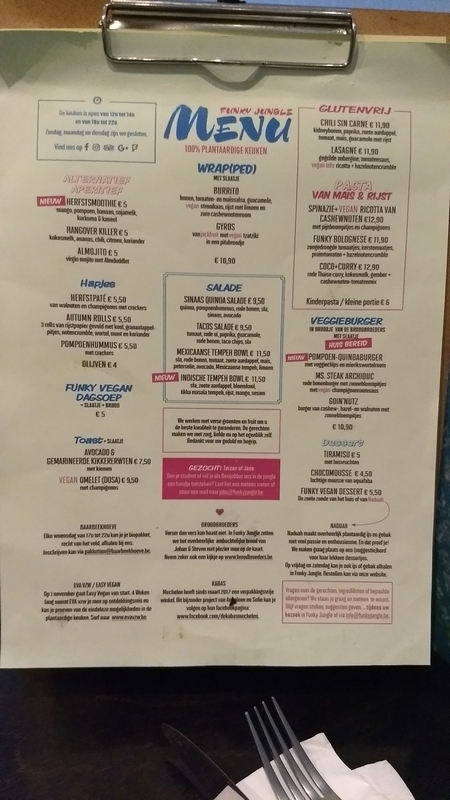 The menu mentions that everything is plantbased. 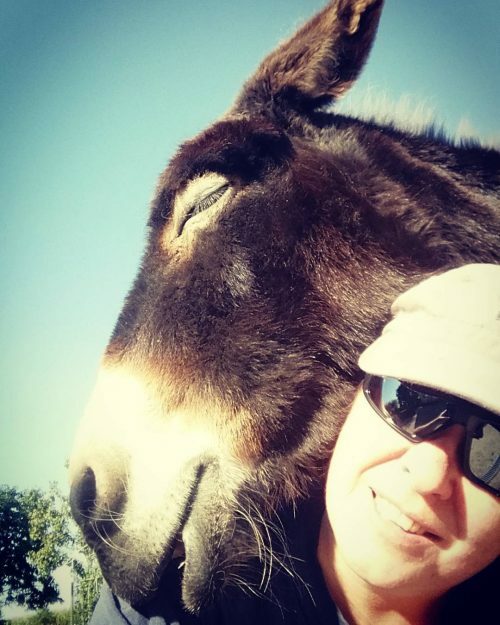 The wines are vegan and organic. 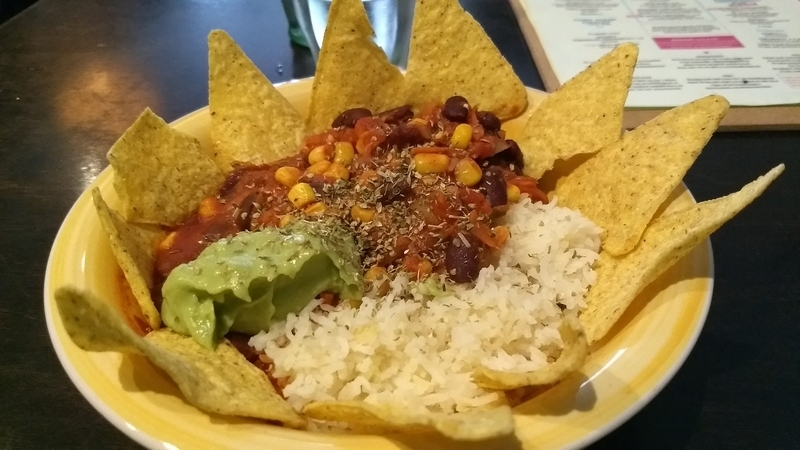 This was his lunch: pumpkin and ginger soup (5€) and chili sin carne with rice (11,95€). 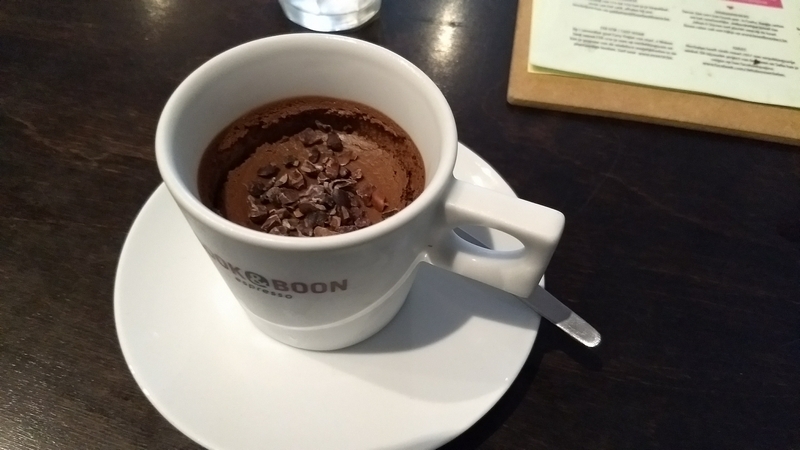 Dessert: a chocomousse (4,6€), made with aquafaba (the magical brine of chickpeas, also used to make vegan meringues!) . 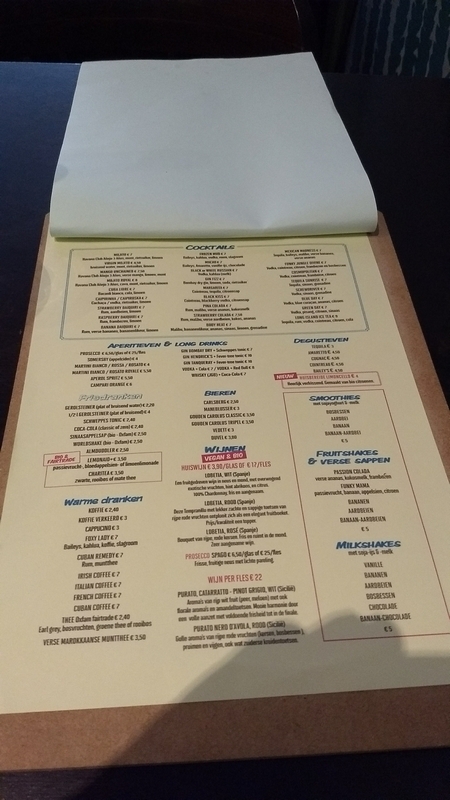 The food was nice, service was swift and friendly. All in all, good value for money! Great addition to Mechelen! 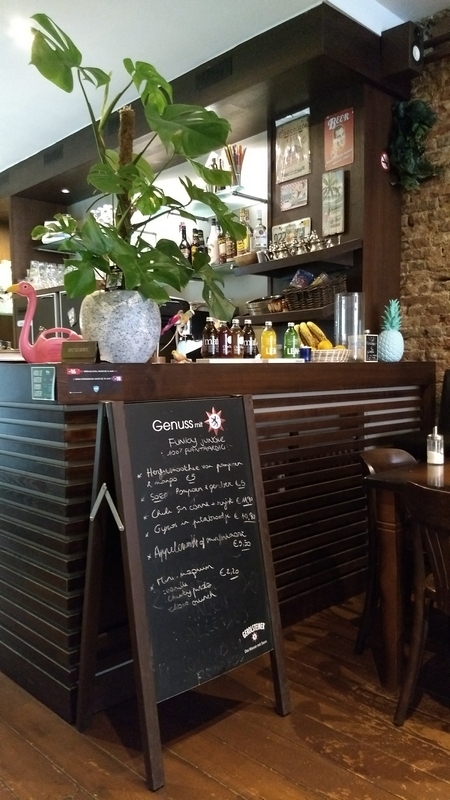 Photos of the interior, the toilets and the terrace can be seen in our previous review of Funky Jungle.